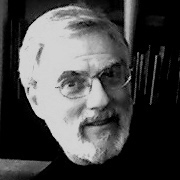 Thomas M. Brod, MD, DFAPA is a faculty member of the New Center for Psychoanalysis, Los Angeles, and Associate Clinical Professor of Psychiatry, UCLA. He has chaired the course on Neurofeedback at the American Psychiatric Association annual meetings for the past four years. In late 2005-early 2006 he organized and chaired two conferences for the Museum of Contemporary Art in Los Angeles tied to their exhibition entitited, "Ecstasy: In and About Altered States". In May 2007, he will chair a symposium on psilocybin research at this year's American Psychiatric Association annual meeting. Research into psychotherapy with psychedelic drugs was in its infancy when federally supported research into such drugs was essentially halted in 1965. Competing models of “psychedelic vs psycholytic” therapy were left with unfilled promise, and the dominant model of psychoanalysis at the time, ego psychology, had little to contribute to the discourse. In this workshop, the present-day work of Toronto-based Professor of Religious Studies and psychoanalyst Dan Merkur will be the springboard for a new consideration of the potential therapeutic application of drug-enduced mystical states. With the recent fMRI study of mystical states in nuns (Beauregard) and ground-breaking study of positive effects of psilocybin-induced mystical states (Griffiths), consciousness study has taken a new turn into the empiric, Although psilocybin has been used for centuries for religious purposes, relatively little is known scientifically about its acute and persisting effects. In response to the epidemic of hallucinogen abuse that occurred in the 1960s, clinical research largely ceased and has resumed only recently. This presentation will review present-day research into mystical states and end-of-life experiences with psilocybin and introduce leading-edge psychoanalytic theory of unitive states. Research into psychotherapy with psychedelic drugs was in its infancy when federally supported research into such drugs was halted in 1965. Competing models of “psychedelic vs psycholytic” therapy were left with unfilled promise, and the dominant model of psychoanalysis at the time, ego psychology, had little to contribute to the discourse. Ironically, Hans Loewald’s theory of Integration forms the basis for the contemporary understanding of Unitive States--the perspective which reopens potential legitimate psychotherapy research into these substances. We will structure the workshop toward an examination of those complex, open issues. The presentation will begin with a brief summary of the material from the plenary session on current research into psilocybin-induced mystical states and Mario Beauregard’s recent fMRI study of neural correlates of mystical experience in Carmelite nuns. Next, a recently made videotape of Toronto-based Professor of Religious Studies and psychoanalyst Dan Merkur will be the springboard for a new consideration of the potential therapeutic application of drug-enduced mystical states. Merkur’s career has has been spent studying mystical and unitive states. Unitive thinking manifests consciously in mystical experiences and represents a healthy line of cognitive development: “unconscious unitive thinking has a natural and healthy tendency to manifest as conscious spirituality.” Recently Merkur, a former professor of religious studies and author of 11 books tied to the psychology of spiritual states, has proposed a framework for working with people—while they are actively under the influence of a psychedelic drug—which theoretically could facilitate psychological mindedness and the rapid maturation of that line of personal growth. Finally, we will draw on the collective experience (wisdom) of the workshop attendees to consider how/whether contemporary psychotherapy research might inform the development of a proposed new psychotherapy study involving mystical experience-inducing psychedelic substances. Although psilocybin has been used for centuries for religious purposes, relatively little is known scientifically about its acute and persisting effects. A naturally occurring tryptamine alkaloid with actions mediated primarily at serotonin 5-HT2A/C receptor sites, it has been long-used ceremonially in diverse cultures for spiritual/healing purposes. The psychological effects of psilocybin are similar to other serotonergically mediated hallucinogens. Early clinical research with psilocybin attempted to study the effects of psilocybin without recognition of the powerful influences of set and setting. Subsequent research, accommodating those influences, found fewer adverse psychological effects, and increased reports of positively valued experiences. In response to the epidemic of hallucinogen abuse that occurred in the 1960s, clinical research largely ceased and has resumed only recently. Charles S. Grob, MD is studying the hallucinogen treatment model with advanced-stage cancer patients with anxiety. From the early 1960s to early 1970s several medical and psychiatric investigators explored the therapeutic potential of various hallucinogens in patients with terminal cancer who were experiencing reactive depression, demoralization and isolation. Positive preliminary results were observed in improved regulation of mood and anxiety and diminished pain perception and need for narcotic medications. Retrospective examination of variables associated with positive response included powerful psychospiritual experiences during their hallucinogen treatment session, observed in patients with both religious and non-religious backgrounds. Effects on pain control were believed to be associated with an "attenuation of anticipation" that persisted even weeks after treatment. More recently, a pilot investigation of the effects of psilocybin on the existential anxiety in patients with advanced-stage cancer was initiated, allowing for a reopening of this potentially valuable area of medical and psychiatric research. Roland R Griffiths PhD recently reported the results of a double-blind study evaluating the psychological effects of 30 mg/70 kg psilocybin relative to a comparison compound (methylphenidate, 40 mg/70 kg) administered to 36 hallucinogen-naive adults under comfortable, supportive conditions. Psilocybin produced a range of acute perceptual changes, subjective experiences, and labile moods (e.g. joy, peace/harmony, anxiety, and fear). Thirty-one percent of the volunteers reported strong or extreme fear sometime during their psilocybin session, including 17% who had mild, transient ideas of reference or paranoia. Sixty-one percent met pre-established criteria, as measured on standardized scales, for a full mystical experience. At 2 months and 14 months after the session, 69 and 67%, respectively, of volunteers rated the experience as among the five most spiritually significant experiences of their lifetimes. At these same time points, 59 and 58%, respectively, rated the experience as among the five most personally meaningful experiences of their lifetimes, and 72 and 64%, respectively, rated that it had increased their current sense of personal well being or life satisfaction moderately or very much. At the 14-month follow-up, there were no reports of persisting perceptional phenomena sometimes attributed to hallucinogen use, no reports of recreational abuse of hallucinogens, and all participants appeared to continue to be high-functioning, productive members of society. Concerned about recreational abuse of these compounds, the Griffith study noted the risks hallucinogen-induced panic reaction and the possible precipitation of enduring psychiatric conditions. Mario Beauregard PHD has been studying consciousness indirectly through a series of ingenious fMRI brain studies. Recently he reported on the structure-specific differences in the brains of Carmelite nuns while in an ecstatic mystical state vs a quiet resting state of mind. Dan Merkur, PhD is a Toronto-based psychoanalyst who has been studying mystical and unitive states. Unitive thinking manifests consciously in mystical experiences and represents a healthy line of cognitive development: “unconscious unitive thinking has a natural and healthy tendency to manifest oas conscious spirituality.” Recently Merkur, a former professor of religious studies and author of 11 books tied to the psychology of spiritual states, has proposed a framework for working with people—while they are actively under the influence of a psychedelic drug—which theoretically could facilitate psychological mindedness and the rapid maturation of that line of personal growth.